The alternate form of paint removal is soda blasting. It is the latest, greenest technology to safely strip paint and/or clean nearly any surface. It is FDA approved, non-toxic, and contains no free silica; it is non-sparking, non-flammable, non-hazardous, and environmentally safe. The particles will explode due to the pressure which come in contact with the contaminate surface by the energy released. The energy releases will disrupt the contaminated surface thus leaving the substrate completely unaffected. Unlike, sand blasting, it has the advantage of cleaning the surface and causes no harm to the substrate or the environment. It is much kinder and gentler to the underlying surface and the environment. As the process is gentle enough and it removes the coating without harming the substrate. Any coating can be removed from most of the surfaces. How does the soda blast process work? It is achieved using a high volume, but low pressure wet or dry blasting machine to propel the soda blast media onto the surface to be cleaned. When the soda blast media comes in contact with the contaminant on the surface, the sodium bicarbonate particles explode. The energy released by this explosion gently removes the contaminant without harming the surface. How was the process developed? The idea hit the New York State engineers back in 1972, when they were challenged with the difficult task of cleaning and restoring the Statue of Liberty without harming the statue or its environment. The established methods in use at the time would not only cause damage to the statue's delicate copper plates, but would also produce damaging waste in the bordering waterways. Therefore, soda blasting was invented to achieve the job of cleaning the statue, while keeping the surrounding environment protected. Does this process cause any damage? The likelihood causing any damage is almost negligible if it is done by a trained operator. As a part of their training, operators are taught to assess the surface they are cleaning and its boundary cautiously, and also to perform test with a small patch first if required, before getting started with the process. There are valuable resources present for reference as it has been done for more than 30 years in the USA. Conducting this process on an area softer than the soda, i.e. leather, some plastics, vinyl, soft wood etc will lead to scratching and surface removal the most. However, operators will always make sure that the surface to be cleaned is suitable enough for the process. What are a few benefits of soda blasting? It can perform cleaning, paint removal and degreasing in one step but leave a thin film of white powder dust on the surface being cleaned which inhibits the formation of rust on metal for several months after treatment. 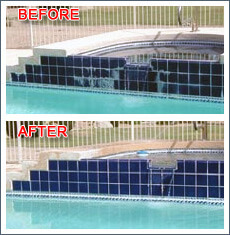 The surface being cleaned is not damaged by this process and it removes grease and other debris. The need of toxic chemicals can be eliminated and leaves a smooth surface unlike sand blasting media. It contain sodium bicarbonate which is water soluble and environmental friendly. It can be used in explosion-proof environment as it is non-sparking. It is suitable for cleaning and to avoid contamination. It is good for mild remediation as it can be used as a deodorizer. All surface coatings to powder can be reduced by this process and it may appear that no cleaning up is necessary. The coating being removed may contain toxins so proper sweeping up and disposal is necessary. It is less aggressive than kieserite. It is completely effective without leaving any trace of paint, rust or other coating behind and does not scratch or wrap the surface during or after application. By its use, all signs of tagging without hammering the original paint can be removed by simply adjusting the amount of pressure applied to the surface. What are examples of soda blasting applications? There are many applications and it can be administered using wither compressed air (pneumatic blasting) or with the power washers (wet blasting). It can be used for cleaning of cars, masonry and food processing equipment. Most notable application is for graffiti removal, coatings removal, marble and stone restoration, and rust scale removal. The pressure of operation is between 10,000 to 45,000 PSI with RIPP Induction system for industries like new construction, shipyards, or tank lining removal.